Cucumber is a very healthy fruit. Many medical experts have claimed that cucumber has so many powerful health benefits to the body. It is packed with beneficial nutrients, plant compounds and antioxidants that may help you treat and even prevent some disease conditions. Cucumbers are also said to be low in calories and contain an outstanding amount of nutrients, water, and soluble fiber, making them ideal for promoting hydration and aiding you to lose weight. 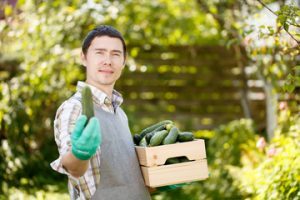 Although the health benefits of cucumbers are for everyone who takes it, there are certain cucumber benefits for men. We will look at the health benefits of cucumbers which appeals to men. Cucumber is made up of up to 95% water. Hence it promotes hydration. As a man, it is vital that you stay hydrated always. Stressful exercises and strenuous activities are common among men. And this can drain your body of fluids. But, you should know that your body needs fluid to perform excellently. Hence, you should make cucumbers part of your daily diet. One of the vital health tips men are to adhere to is to maintain a healthy weight. Obesity among men has been linked to several diseases, which includes, cancer, diabetes, and cardiovascular diseases. Admittedly, to maintain a healthy weight requires that you eat exercise regularly and eat healthy foods. One of such healthy foods that can help you lose weight are cucumbers. As earlier mentioned, cucumber are low in calories which makes them perfect for men who want to maintain a healthy weight. Erectile dysfunction, is the inability of a man get and maintain an erection. It has been said to be common among men between 40 to 70 years. One of the causes of erectile dysfunction is narrowing of the blood vessels. However, health care experts have suggested that cucumber could help in combating erectile dysfunction. Cucumber is rich in a compound called Citrulline. Citrulline, in the body, is converted, into arginine, which then transforms into nitric oxide. This nitric oxide helps in relaxing the blood vessels and enhancing blood flow, hence improving erections. Even a study was conducted with 24 men who had erectile dysfunction. The condition of 12 of the men improved after a month taking Citrulline supplements daily. 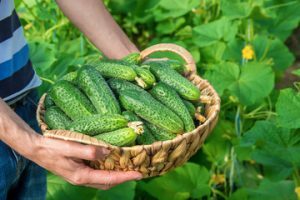 New studies found out that cucumbers contain potent antioxidant and lignans that contribute to reducing the risk of several cancers, including prostate cancers. There are phytochemical nutrients in cucumbers called cucurbitacins which are known to prevent cancer cell from developing in the body. One study even discovered that cucumber extracts provided phytonutrients that have free radical scavenging and analgesic activities, ultimately sweeping the body of numerous toxins and free radicals that cause cancer. Prostate cancer has been a major health issue among men today. It is comforting to know you can prevent prostate cancer with cucumber. The cucumber benefits for men doesn’t just end with its cancer-fighting abilities. It also has anti-inflammatory properties which make it reduce the risk of diseases affecting men. Cucumbers lower inflammatory response in the body. They contain polyphenols called lignans and an anti-inflammatory substance called fisetin, which can potentially reduce the risk of cardiovascular diseases. Cucumbers contain an abundant amount of fiber and an amazing amount of water. This helps it flush out bacteria which causes bad breath in the mouth. 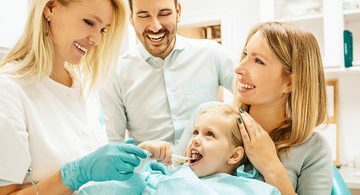 Thus, cucumber can give you a great oral health. The annoying part about drinking alcohol for some men in the early morning headache and other adverse effects usually known as hangovers. If this is the case with you, there’s a way to avoid it and enjoy your morning after gulping alcohol. The abundant amount nutrients, vitamins, water sugar and electrolytes present in cucumbers will make sure that you don’t experience hangovers again. If you eat a cucumber before going to bed, then the intensity of your hangover the next morning will be minimal. There you have it, the top health benefits of cucumbers for men. I love cucumber, it is a must for me in the summertime !!! I knew of its beneficial properties before, but now I have read the article I appreciate cucumber even more. Salads should be loaded with cucumber, both for our taste and health !!! Thanks so much. I’m glad you found the article helpful. So many great benefits! Definitely gonna show this article to my husband. I love that it has anti-inflammatory properties. That is so important! Thanks. Keep visiting the blog for more helpful information. Cucumbers as a hangover remedy? I never would’ve thought! Of course, it makes sense because cucumbers help to get rid of excess fluids in the body and so they would probably help to detox from the alcohol. I will definitely tell my husband about this! Yes, cucumbers are great for hangovers. I’m glad you liked the article.